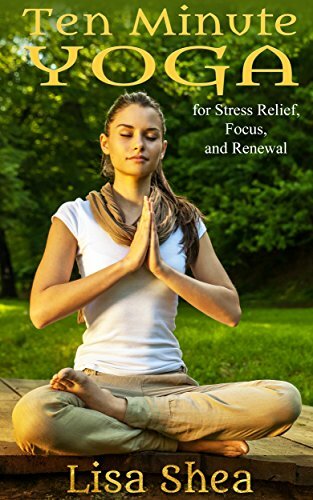 Ten Minute Yoga for Stress Relief, Focus, and Renewal by Lisa Shea is great for a yogi that is short on time. Download this book onto your phone or tablet. It is available to you when you have a short amount of time for a yoga session. As the author says, “something is always better than nothing.” The poses in this ten minutes session are simple enough for beginners, but someone with an advanced practice could deepen the poses and feel like they a nice yoga session.